"The Threat of Mankind's Best Ideas"
Robert Winston's never gives the same lecture twice but his lecture to World Affairs owes something to his 2010 book 'Bad Ideas?' charting man's progress and suggesting that science has produced huge good but has also had unforeseen consequences. Lord Winston, Professor of Science and Society and Emeritus Professor of Fertility Studies at Imperial College, runs a research programme in the Institute of Reproductive and Developmental Biology, on improvements in transgenic technology in animal models, with a long-term aim of improving human transplantation. He has around 300 scientific publications in peer-review journals on reproduction and embryology. He is also Chancellor of Sheffield Hallam University, Chairman of the Royal College of Music, and was voted "Peer of the Year" by his fellow Parliamentarians in June 2008 for his expertise and work on the Human Fertilisation and Embryology Bill. His research led to the development of gynaecological microsurgery in the 1970s and various improvements in reproductive medicine, subsequently adopted internationally, particularly in the field of endocrinology and IVF. He is Chairman of the Obstetrics and Gynaecology Trust Fund, a charity which raised over £13 million to establish the Institute of Reproductive and Developmental Biology. He was Director of NHIS Research and Development at the Hammersmith Hospitals Trust until 2005. Robert Winston has been a visiting professor at a number of American, Australian and European universities. He was President of the British Association for the Advancement of Science in 2005. He is currently a member of Council and Chairman of the Societal Issues Panel at the Engineering and Physical Sciences Research Council. Amongst numerous awards, in 1999 he received the Faraday Prize from The Royal Society and the BMA Gold Award for Medicine in the Media. He is a Fellow of the Academy of Medical Sciences and has been awarded honorary doctorates at sixteen universities. His activities in the House of Lords include speaking regularly on education, science, medicine and the arts. He was Chairman of the Lords Select Committee on Science and Technology 1999-2002, initiating enquiries into Antibiotic Resistance, Non-Food Crops, Nuclear Waste, Science and Society, Genetic Databases, Aircraft Passenger Environment, and Science in Schools. 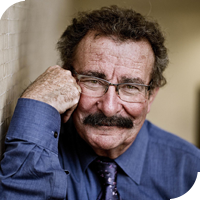 Robert Winston is committed to scientific education and regularly writes or hosts popular science programmes of which 'The Human Body' is perhaps the best known. He has published fourteen books for lay readership:- 'What Makes Me Me' won the Aventis Prize in 2005, and 'The Human Mind' was short-listed for the same prize in that year.